Welcome to our 2015 Festival Staff Picks column! We’ll be posting some first looks at Festival Films to look out for on the 2015 Film Schedule. Check back to the AFF blog for new Staff Picks each week! “They came to have their babies. 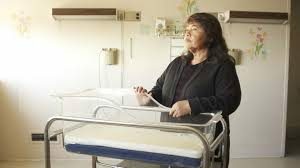 They went home sterilized.” In two short sentences, No Más Bebés’ logline draws you in to a heartbreaking and eye-opening story about forced sterilization taking place in Los Angeles in the 1970’s. No Más Bebés is a powerful documentary that plays out like a thrilling courtroom drama. The film follows the 1975 legal battle against the Los Angeles County-USC Medical Center, where several Latina women were coerced into signing paperwork to perform sterilizations when they arrived for childbirth. Director Renee Tajima-Peña accomplished the difficult feat of gathering interviews from five of the original complainants, their lawyer, Antonia Hernandez, and the then medical student Dr. Bernard Rosenfeld, who was the whistle-blower of the operation. The incredible story, heart-wrenching interviews, captivating archival footage, and the constant struggle for women’s reproductive rights that’s still happening today make this documentary a must-see. Want to add No Más Bebés (with director Renee Tajima-Peña in attendance) to your schedule? Click here to add it on Sched.